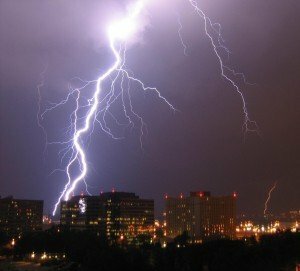 Given the recent spell of storms and lightning, we are expecting an influx of lightning damaged devices over the next few days. If you have suffered any such damage, don’t panic – call us on 01-8612280 from Thursday 2nd January to discuss your situation. The good news is that virtually all drives that have suffered such damage can be recovered. For emergency situations, you can always get through to our on-call engineer on 0872643487. Why not check your home of business insurance policy to see if you’re covered? All of our work is carried out by expert engineers in our world-class lab in Dublin. We work with all of the major insurers and provide detailed reports which can help process your claim. If you have been unfortunate enough to suffer water or flood damage, don’t panic – call us to discuss your case.